Philip Hempleman’s Ardsley Partners in a filing, updated that it now owns 913,793 shares, representing 7.5% of the common stock of World Energy Solutions, Inc. (NASDAQ:XWES). At the same time, Ardsley Partners disclosed a letter sent to the chairman of the company’s board. The fund held 602,895 shares at the end of September 2013. The fund believes that, World Energy Solutions, Inc. (NASDAQ:XWES), should regain focus on the energy procurement business, boost its sales and marketing efforts to large industrial and institutional users of power and gas. World Energy Solutions, Inc. (NASDAQ:XWES)’s acquisition of 10% of Northeast Energy Solutions (“NES”) has brought in –2% operating margin on $6.9 million sales and still continues to lose cash, in its attempt to grow an energy efficiency business. In views of Ardsley Partners, World Energy Solutions should cut down its expenses on unprofitable energy efficiency business and should dispose the unviable projects. 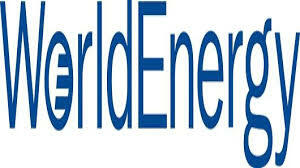 Further the fund believes that by entering into a strategic partnerships with large private equity groups, industrial conglomerates, consulting firms with thousands of clients and group purchasing organizations, World Energy Solutions, Inc. (NASDAQ:XWES) can boost its top line by exploring new channels and also capitalize on trends in distributed generation. “We are confident that under the direction of a refreshed Board, World Energy can become a market leader in an expanding, multi-billion dollar energy procurement market. We also believe, however, that the Board has an obligation to examine the premium that potential acquirers are willing to pay for World Energy today. Based upon the extraordinary shareholder value generated in several of the transactions we mentioned above, we believe it is incumbent upon the current Board to fully evaluate all strategic alternatives to maximize shareholder value at World Energy, including a sale,” the fund said in the letter. Apart from Ardsley Partners, Chuck Royce’s Royce & Associates, also held 1.17 million shares of World Energy Solutions, Inc. (NASDAQ:XWES), at the end of September 2013. Citadel Investment Group, managed by Ken Griffin, initiated a position in the company’s stock in the third quarter of last year, and now holds 10,864 shares, representing $36,000.